This list contains the ministries, organizations, and groups that have formed within the Church of the Holy Family. We hope that you consider joining one or several of these. Everyone has gifts to share. Read about all ministries here. 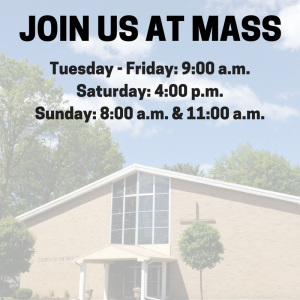 Sign up for a ministry by completing this form and submitting it to the parish office.